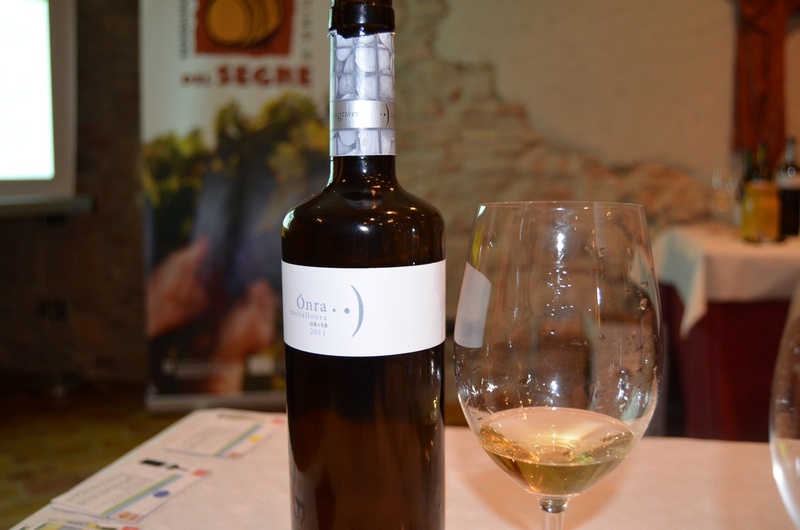 Garnatxa Blanca | Catalan wine in a nutshell! Brilliant and golden yellow color. Clean nose with heavy aromatic complexity. Some coconut, but mainly I noted white fruit meat, pear and apple. Smoky notes and cedar came along nicely in the background. Slight perfume, or aftershave, or if it was just the guy next to me? With aeration, lemon, pineapple and peach continues to add dimensions to the experience. Good entry, slightly salty. It is filling the mouth with sensations of white fruits, herbs and a buttery feel. Mature, quality, long and fresh finish. I travel, I visit, I taste and I write for you! 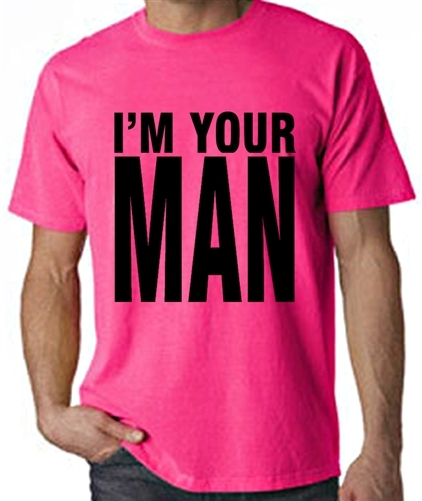 I’m your man, not only in Costers del Segre but all over Catalonia. So, any time you have questions, especially regarding wine and wineries in Catalonia but also other questions, you are more than welcome to ask! If you would like me to visit, and write about a particular winery in the vicinity, let me know about it! We now have only 10 days left of 2014! I have been writing consecutively for 355 days and I will finish what I set out to do on January 1st! What happened 2015? I really don’t know, I’m not Nostradamus……, but I will be tasting and drinking wine during the year to come as well. Will I continue writing? Guess we’ll all just have to wait and see! I’m your man and this time we once more spend our time together in one of the less known wine making regions in Catalonia. Never the less, it is an area of great beauty and some high class wines. The region also hosts the second winery (my first choice is Can Rafols dels Caus) that could be considered for the next James Bond movie or for the next Alien film with Sigurney. Outstanding architecture with well thought through processes for elaboration. The project of La Gravera was conceived under low cost criteria, where optimizing energy and material means and resources became important. Economic sustainability is generally linked to environmental sustainability. And it is very evident in this case. 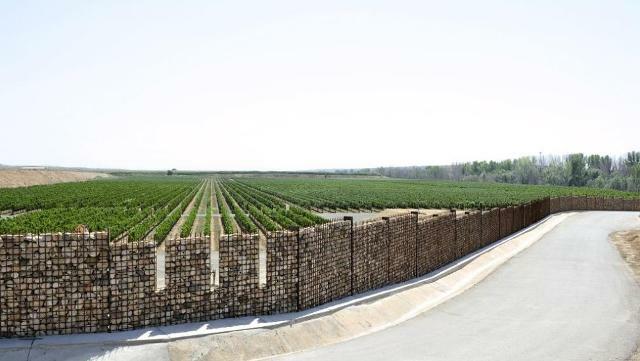 An old warehouse from 1958, which belonged to a gravel quarry, has been recovered, revived and transformed it into a vineyard, eliminating industrial elements. SALA Architects FERUSIC was the company contracted to carry out the design and achieved something truly amazing, considering the budget. The building elements are governed by economies of scale and mass production, to minimize their impact on the environment and therefore the economy and organization was done with criteria of spatial, functional and hygrothermal design, in mind. The project was structured in relation to the following points: a cabinet four feet high organizes service spaces, the center of action where human activity is assisted by machines, and Zone 900, a conference room with a carpet of welcome stripes and a bright ceiling, below which the cellar is found, and where the monitoring unit controlling the vineyard in real time is located, and where the design and pedagogy of the wine develops. In conclusion, this low cost approach states one obvious fact, Less (money) Is More! The draft was from the beginning that La Gravera should perform as a small winery where the whole process can be controlled. From the vineyard to the bottle and, all with a highly technical system. 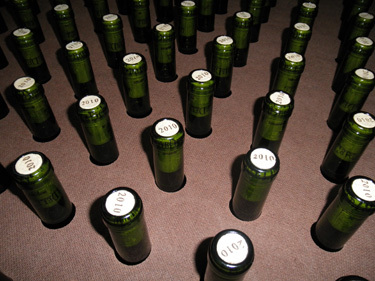 Doing small things that may surprise the wine lovers of design. Its aim also goes through a proven commitment to quality and a small production. The range of wines consist of white, pink and red and feature a broth medium-high segment, and 100 % organic wine. The differential of Celler La Gravera is the fact that this is a very small, very manageable collection, with a number of grape varieties, a plot of 14 acres with nine different types of grapes. “It allows us to process the cupages with great success ,” says the young winemaker Jordi Viader. The winery is a totally unique personal museum, unique, unusual, no plagiarism or copies. Everything, absolutely everything, is looked at through the prism of surreal design, the encounter with the afterlife, but understandable and functional. 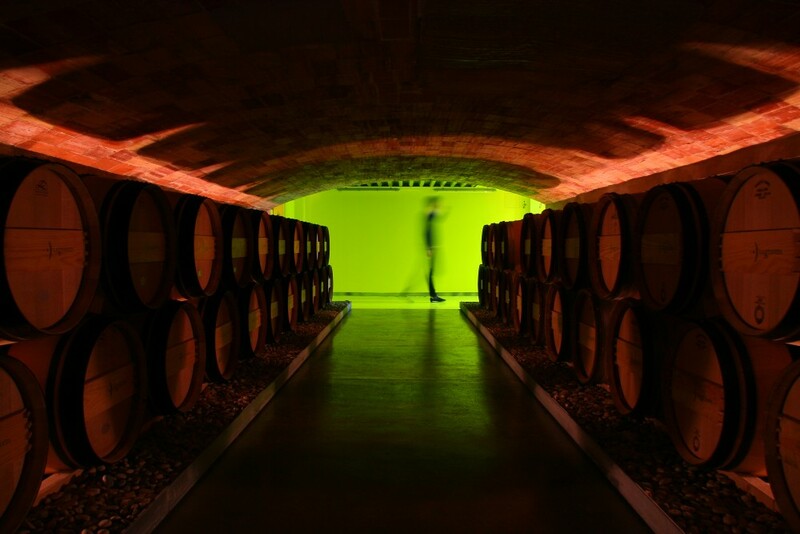 It is a winery that deserves architectural design awards. We are not only talking technology, but also the passion for winemaking. “My experience in domestic and international markets, traveling the world, making our wines, with proven quality, we are presenting and selling through hotels and restaurants on several continents, with a great acceptance among them,” says Sergi Garcia , CEO of Bodegas Lagravera. This very cellar in the D.O. 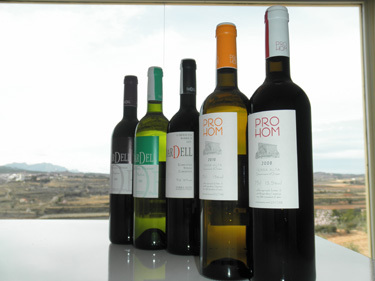 Costers del Segre believe that as a basic premise, it is pertinent to continuously improving the quality of its wines. 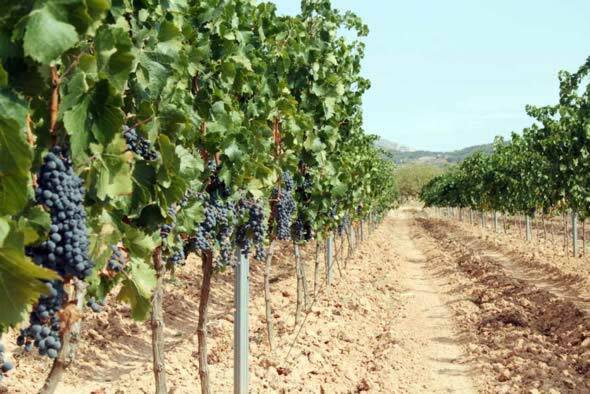 The slogan that have endorsed the Lleida winery is “wine that comes from the stones .” This is because their vineyards are located on land with lots of stone, basically a gravel pit located in the comarca of Noguera. They are highly mineralized wines. “We aim to give our customers what they want, while we want to be faithful with what they want ,” says Garcia. 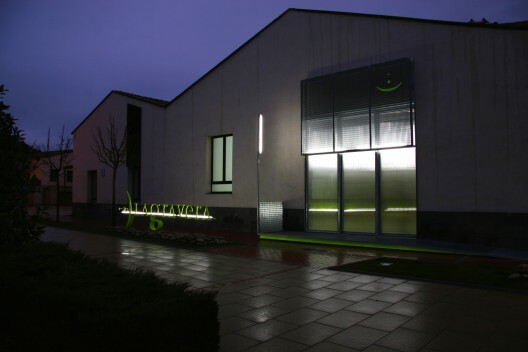 Lagravera wines are intended for the HoReCa market segment and specialty stores. Current global production is around 50,000 bottles per harvest. 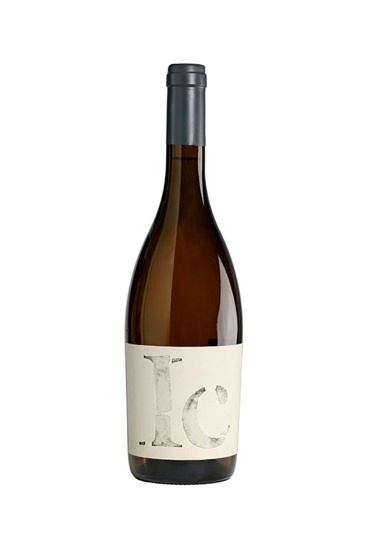 This is a wine which reflects typicality and authenticity of Terra Alta’s White Grenache. A young white wine with a bright pale yellow/green hue. The must is fermented at a controlled temperature, resulting in a fruity and aromatic wine with a powerful suggestion of tropical fruit (pineapple, banana, pear) and some lychee. Lingering hints of scrubland herbs and white rose. Fruity flavours and delicious taste, coated with a nice power and sensation of structure which can be perceived and enjoyed in this wine. 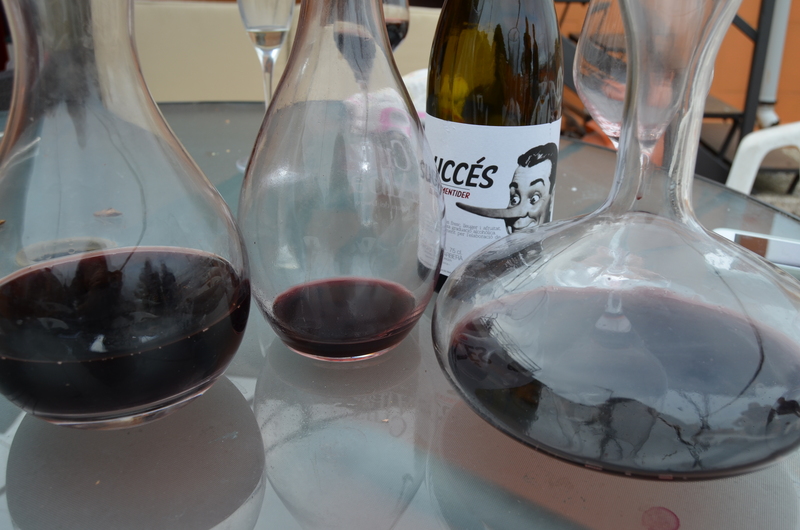 Decanting of the first fractions of the juice at 13 ° C during 24 hours, fermenting 25 days at 14 º C. Blended in December ’12. Clarified with bentonite, then filtered and cold stabilized. Bottled in January 2013. 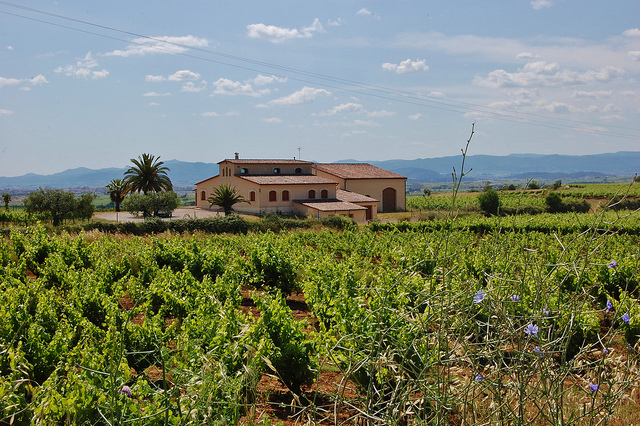 The winery of Coma d’en Bonet in the small Terra Alta town of Gandesa, decided early to adhere to organic wine making. One that is made from grapes produced by using ecological agriculture, all grapes used come from vineyards grown without chemical fertilizers or synthetic pesticides (fungicide, insecticide or herbicide), and therefore no residues of these substances are influencing the final product. They use only organic fertilizers and natural minerals. 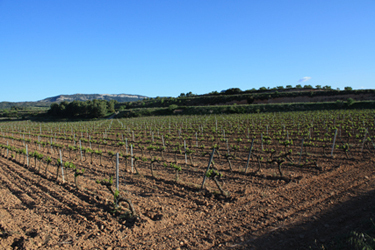 All the vineyards are cultivated according to the guidelines of organic farming and under control of the CCPAE (Catalan Council of Ecological Agricultural Production). This certification ensures that products always have been prepared following the rules of organic farming, which have been controlled in the entire process of PRODUCTION, PROCESSING and PACKAGING. … they came, they examined, they sniffed, they sipped and they spat, or should I say most of them did! Was expecting a well arranged tasting with some nice wines from D.O. Costers del Segre. At yesterdays tasting I got that, and more! 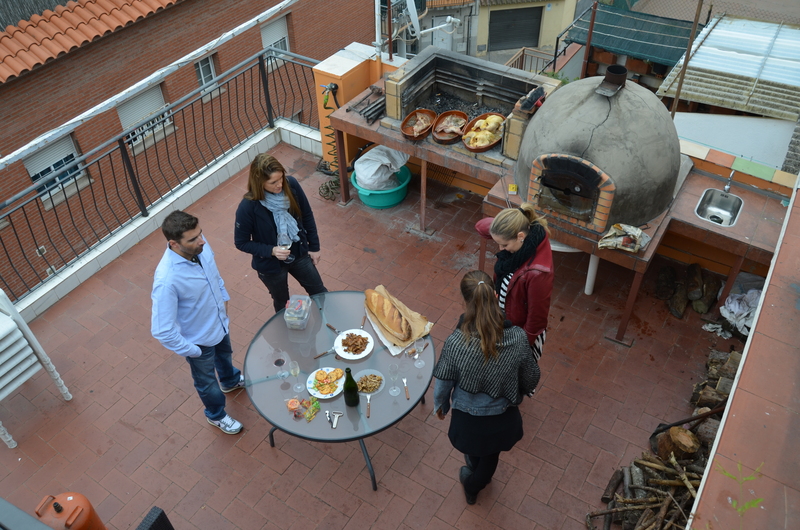 According to the invitation from Marta and Ruth, Hotel-Hostal Sport in Falset, who were arranging the tasting, we were supposed to taste 6 wines, which is some kind of standard for these types of tastings. Final number was 8! 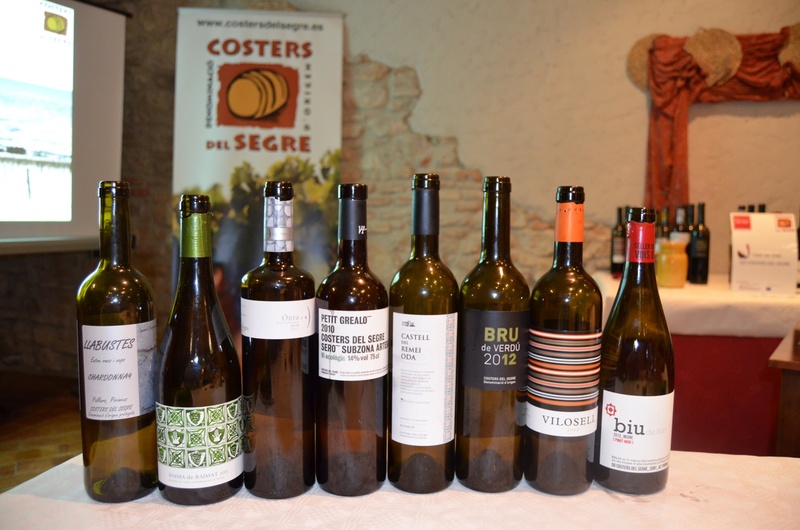 And the wines they make in the Costers del Segre, Yes! The Usual Suspects is one of my absolute favorite movies and so is the soundtrack and main theme. The usual suspects also refers to the sommeliers, wine makers and wine lovers in general that visit the well arranged tastings at Hotel Hostal-Sport, once a month. There’s a bunch of people that always come to these tastings and I am happy to be amongst them! 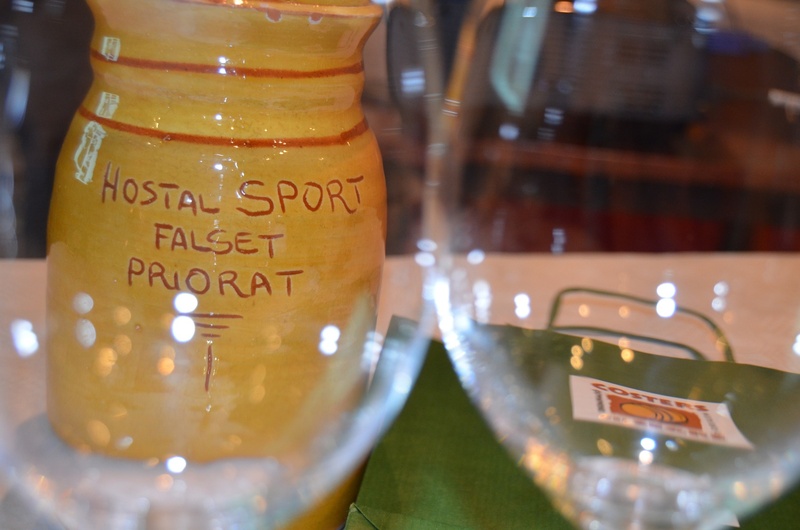 We have Emporda, Montsant and Priorat to look forward to! As always Marta, owner, manager and in house sommelier at Hotel Hostal-Sport, started of by introducing the representative from the D.O. and in this case I have to say I totally missed the name but I have to say that when it comes to wine and especially to the specifics of Costers del Segre, she knew what she was on about! It was a pleasure to listen to her. 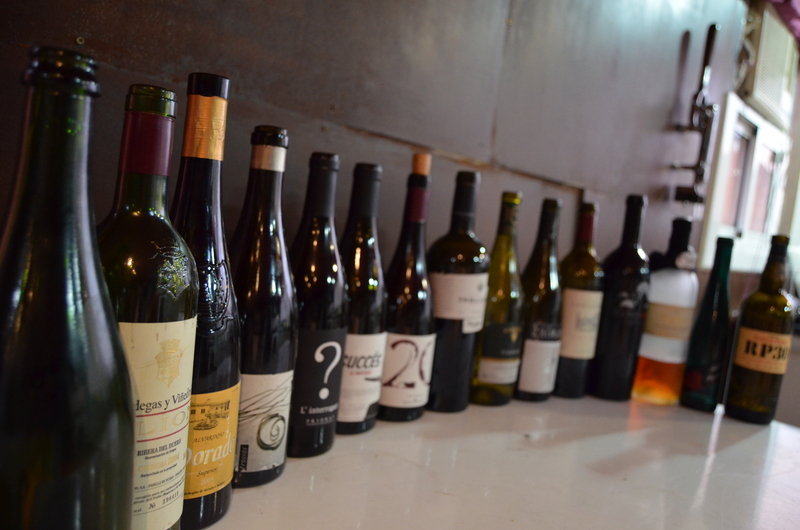 This was the ninth of 12 tastings over the year to come, covering the D.O:s of Catalonia. 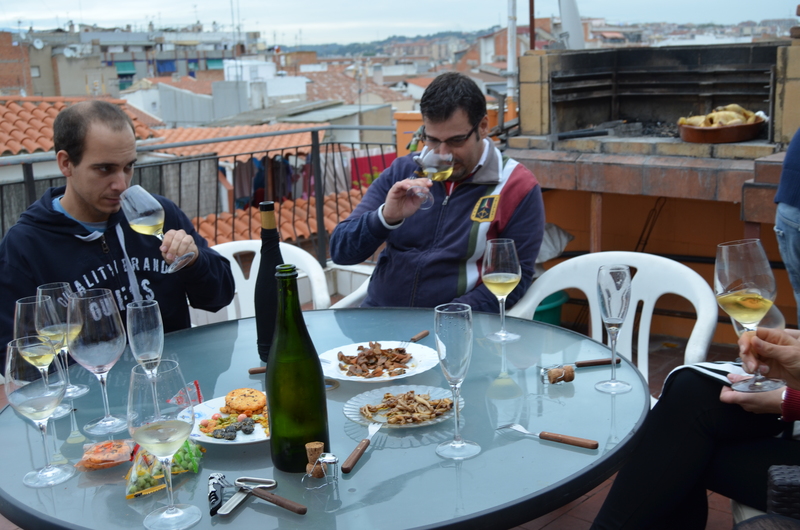 These tasting are a way to promote Catalan wine and the Catalan D.O:s at the symbolical price of 5 Euro per tasting, so, if you want to know more about the wines from the regions of Catalonia, make sure to get to Falset and enjoy some really good wines together with other wine lovers! Can’t wait for the next DO-tasting! A little bit about the characteristics of D.O. Costers del Segre before we get going with the tasting notes! The vineyards are spread out throughout the northeastern interior of Catalonina, with the region of Pallars being the most northern one. It is not an appellation with one border, as the growing areas are spread out like a multitude of vineyards. The vineyards are located in the sub-areas of Artesa de Segre, Urgell, Garrigues, Pallars Jussà, Raimat, Segrià and Valls del Riu Corb. The D.O. 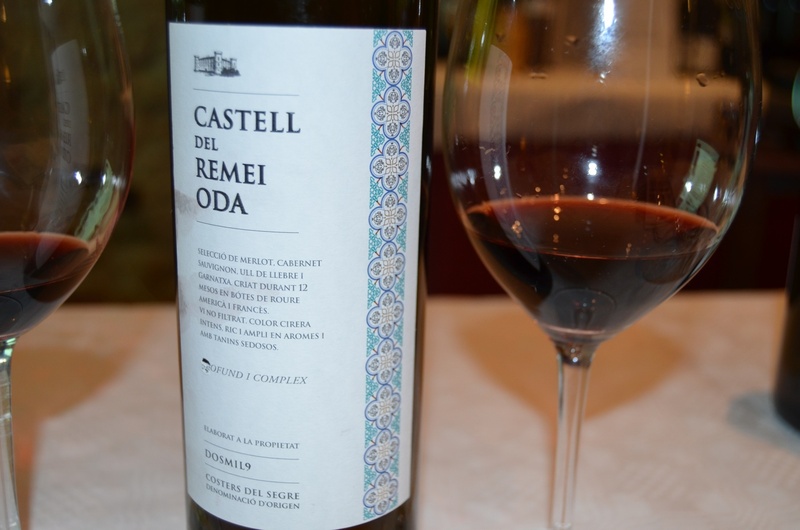 as such was created in 1986, so it is one of the younger appellations of Catalonia. Currently there are 588 wine growers and farmers, working on a grape producing areal of 4.197 ha. Total number of plots is 2.667 and wine producing cellars (commercial) are 42! Small numbers but big wines! The different sub-zones have very varying geological and climatic features. The link is the middle basin of the River Segre, between the Pyrenees and the Ebro. They are all located in the interior and have quite dry conditions, away from the maritime influence and marked by high insolation, low rainfall and persistent moisture mists during the winter. The vineyards are located between 200 and 400 m. altitude. The soil is calcareous sand coated with a great uniformity throughout the denomination. The Artesa and Pallars subzones are the most northerly, with their vineyards at a higher altitude and Pyrenean influence. Raïmat at the eastern end, has a gentle relief and continental climate. The sub-area Segrià on the plain of Lleida, is characteristic of rain-fed lands. 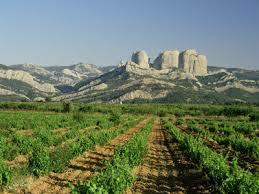 Les Garrigues and Valleys Riucorb have dry soils, to be considered drylands. After the phylloxera, the vine cultivation decreased substantially. In this way, starting during 1909 the new vines grafted on American rots (Americanos) resistant to phylloxera, provided the province of Lleida with 15,161 hectares, of which 13,343 were replanted phylloxera resistant vineyards and 1,818 were lands that were previously not used for vine growing. The 102,920 hectares not reconstituted are mainly devoted to the cultivation of olive trees. 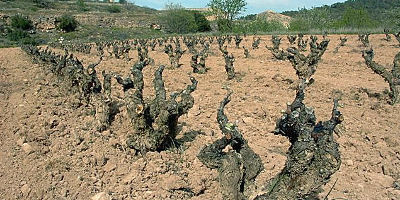 In the western area, the varieties destroyed by the phylloxera were: Pinós, Samsó, Sumoll and Garnacha. 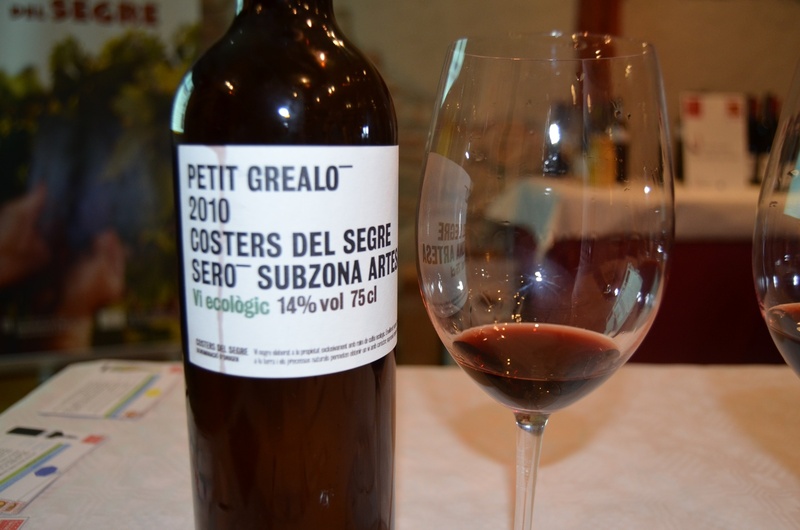 The varieties grafted on American stocks: Monastrell, Macabeo, Trepat, Grenache and Sumoll. At the same time some French varieties, like Cabernet Sauvignon were imported. The grape varieties recommended by the regulatory body are; Garnacha Negra, Tempranillo (Ull de llebre), Cabernet Saugvinon, Merlot, Monastrell/Morastrell, Trepat, Mazuela/Samsó, Pinot Noir and Syrah with the recommended addition of white grapes; Macabeu, Xarello, Parellada, Chardonnay, Garnacha Blanca, Riesling, Sauvignon Blanc, Moscatel de Alejandria, Malvasia/Subirat Parent, Gewurztraminer and Albarinho. 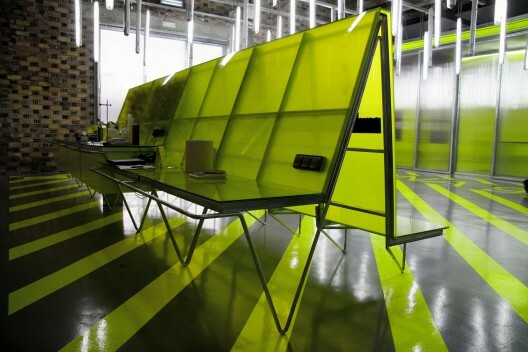 Pale yellow straw color, elegant green reflections. Clean and intense aromas of flowers, acacia and a hint of rose. Yellow and white fruits, a lot of pineapple, apple and pear are quite subtle, banana is also there but fading in the background. No mineral and no notes of aging. On the palate, it is a dry wine with moderate acidity, noticeable alcohol but without being intrusive. It has a integrated body. Taste of citrus, exotic and white fruits, slight touch of almonds. 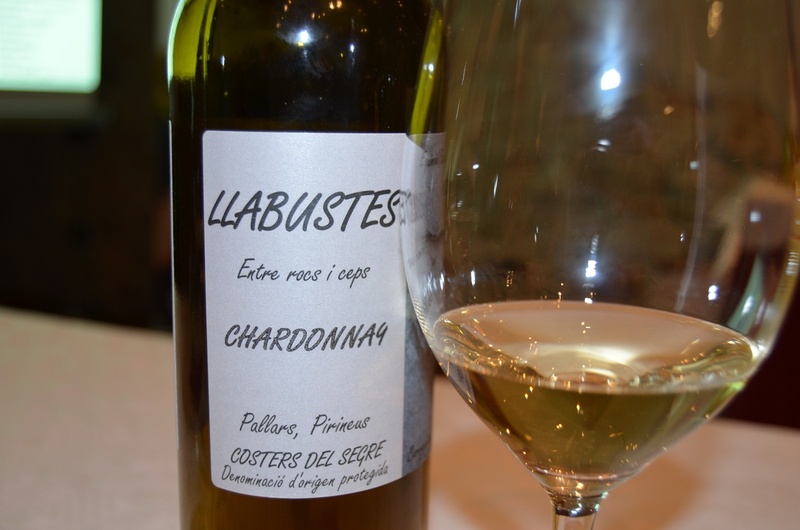 You won’t find a better Chardonnay from Costers del Segre, the value is amazing! Straw to slightly golden color with greenish reflexions, showing the youth and freshness. Complex. Intense nose with primary notes of tropical and citrus fruits, round and clean nose. Expressive to complex, secondary of currant, elderberry, peach and some white fruit, pear and melon. Structured, well balanced with good acidity. Dry, medium long after taste with balanced acidity. Well made and simply a very pleasant wine! Transparent ruby red color with violet hues. Red and black fruit, light smoke, herbs like lavender, rosemary and fennel. Nice touch of white pepper and balsamic. Medium intensity, medium and balanced tannins. Smoke again, leather and coffee. Candied fruit. Potent wine, persistent and refreshing. A pure, fresh character of clay! Cherry color, with a bright cherry colored edge. Colorful tears and dense. High intensity. Aromas of barrel and cedar, aromatic coffee came as secondary after quite some time. Balsamic. Marmalade, blueberry jam. Sweet and voluptuous entry. The tannins are mature, integrated and the acidity is fresh, enhancing the persistency. Loved the finale with the sweet fig carrying the wine a long way. Dark cherry color with garnet rim. Clean and bright. Slow and slightly tinted tears. It has a clean and intense nose with outstanding very fruity aromas, ripe black fruit and licorice intermixed with subtle spices and lightly toasted. Mild vegetables and balsamic background appears after a while. The entry is powerful, fleshy and dry, marked by intense roasted notes, light spices and a delicate mineral touch. Good acidity that refreshes and distinctly tannic. Persistent finish that leaves roasted and fruity sensations. Beautiful cherry color with violet edges. Very bright and thin legs. Nice aromatic complexity with a wide range of aromas. Vegetables, red fruits, hot spices and licorice give way to ripe fruit, sweet spices and chocolate. Subtle floral background. Intense and spacious volume. Silky and full of juicy fruit, blackberries, accompanied by toast and mineral notes and subtle hints of licorice. Mature and well polished tannins. Good acidity. Long and persistent finish that leaves fruity sensations. A round, tasty and very friendly wine! 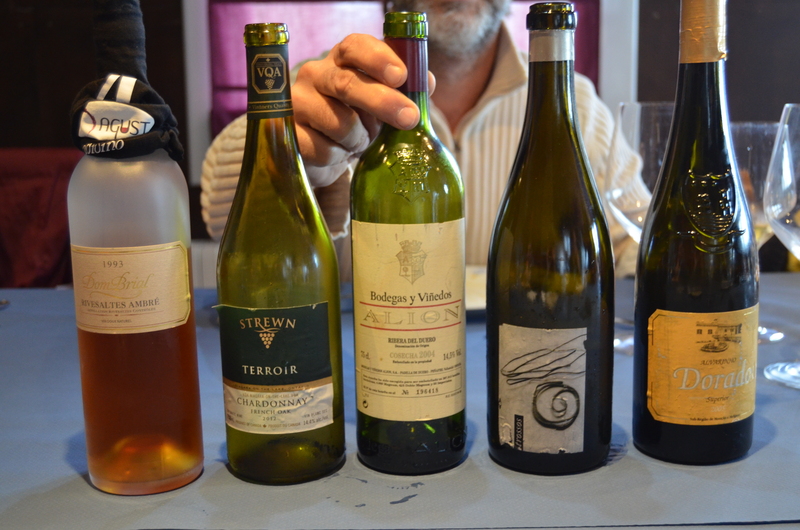 And the WINNERs are (had to go for two this time) Lagravera, Onra Moltahonra Blanc 2011 and Tomas Cusine, Vilosell 2011. White wine with a golden yellow hue and greenish tones. Complex aromas reminiscent of pineapple and mango, with certain notes of apple and apricot. Unctuous, long and persistent on the palate. The finish culminates in floral and fresh mint aromas. The land we now inhabit has known other names and other cultures. The “Ilercavones” (the Iberians who lived in the Terra Alta and the surrounding areas from the 6th to the 1st century BC, and who named them), had a culture which left its unmistakable mark on the land – and can still be seen today, a testament to a productive and prosperous past. D.O. = Designation of Origin/Denomination of Origin. The quality and characteristics are essentially or exclusively due to its geographical origin, with the inherent human and cultural factors. It possesses a certain quality, reputation or other specific characteristics attributable to its geographical origin. In addition to the above, the following must also apply. 100% of the grapes come exclusively from the geographical production area. The production takes place within the same area and distillation is obtained from grape varieties belonging to Vitis Vinifiera. Wines bearing the DO distinction are prestigious Spanish wines produced in a demarcated production area and are made according to parameters governing quality and type. Each DO must be regulated by a Governing Body (Consejo Regulador) that is responsible for ensuring the use of grapes of the authorized varieties, and compliance with parameters governing production per hectare, approved methods of wine making and ageing times. In order for wines to be given Denomination of Origin status, the production area is required to have been recognized over at least the previous five years as a region producing quality wines with a geographical indication. Catalonia has 12 DO:s! That is more than any other wine making area of Spain. And now you know why I live and work in Catalonia! With time, all of them are going to be covered in more detail. For now I am just going to focus on the chosen one, the D.O. Terra Alta. D.O. 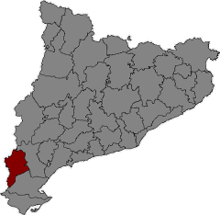 Terra Alta is located in the very southwest of Catalonia, as far away from Barcelona as one can travel without exiting the region. Being one of the most picturesque and beautiful nature areas of Catalonia, the great Picasso had his field days here and many of his paintings feature scenes from these lands. Historically, because of being very isolated, this area traditionally only made wine for local consumption and has only recently started to produce modern Mediterranean style wines. During the Roman times, the road going from Zaragoza to Tortosa passed through the area. This is probably when grape growing was first introduced. In the Middle Ages, the Knights Templar planted vines, but the geographical distance to markets and to ports meant that a lot of vineyards were converted to olive groves instead. During the 19th century the vinos rancios (rancid wines) from Terra Alta, such as “Amber Blanc” attained great fame. However, the area was devastated by the outbreak of the phylloxera. The current vineyards were replanted between 1920 and 1950, the cooperatives played a pivotal role. The varietals authorized in Terral Alta, both traditional and of foreign origin are the following. White grapes: Garnacha blanca, Parellada, Macabeo, Moscatel and Chardonnay (experimentally, Chenin blanc, Sauvignon blanc and Marselan). D.O. Terra Alta acquired official status in 1982 and there are currently 8,200 ha covered, with 1,800 grape growers and 42 wineries registered. 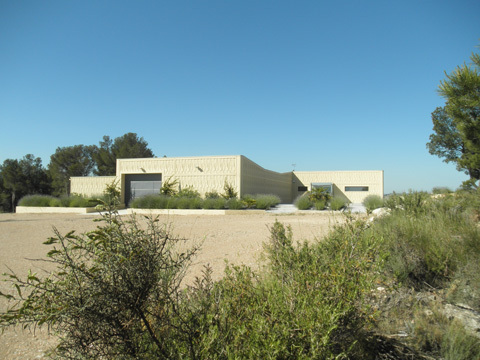 One of the wineries is Altavins in Batea. 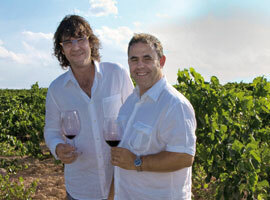 The winery is a project set up in 2001 by Jordi Casado and Joan Bautista Arrufi i Pieg. With 120.000 bottles produced each year it is to be considered small but then again I have visited wineries that only make 5.000 a year. I guess it is highly relative. The vineyards are located at 350 and 550 m above sea level, characterized by plains, high plateaus and valleys. It enjoys a dry Mediterranean climate with little rain of up to 450 ml per year. The sunlight is plentiful, and is influenced by two prevailing winds – the Cierzo, which arrives from the Ebro Valley, and the “Garbi” or sea wind. Due to the very small amounts of rain, there is hardly any fungal disease, allowing for more sustainable practices, and the Cierzo (which is blowing throughout September) allows the grapes to ripen naturally on the vine. The nature of the soil provides the grapes with an exceptionally high concentration of minerals, and the considerable temperature changes between night and day while the grapes are ripening maximises the aromas and flavours of the varietals. 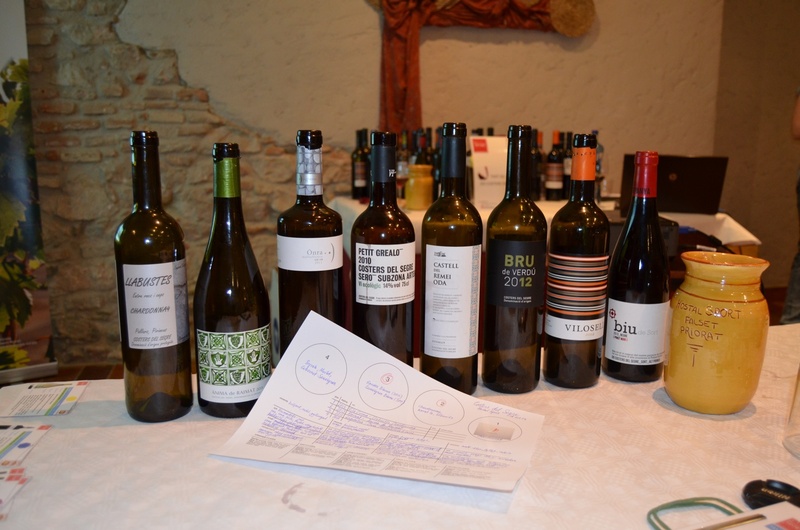 The wines produced include whites made from White Garnacha grapes, which are typical of the Terra Alta and grown in vineyards which are at least 45 years old. 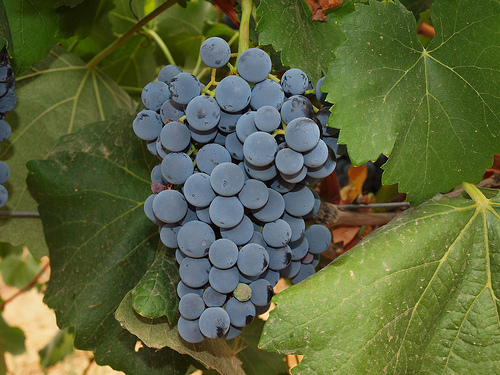 Red wines are made from Cariñena and Black Garnacha grapes, from vineyards established at least 60 years ago. The wines are fruity, with finesse and elegance in-bodied in them by the wooden casks in which they are stored. Traditional, yes! But even though the Cariñena and Garnacha are the primary grapes planted by Joan, he still sees the importance of working with international varietals, such as Chardonnay and Syrah, leading him to create great wines with exceptional results. 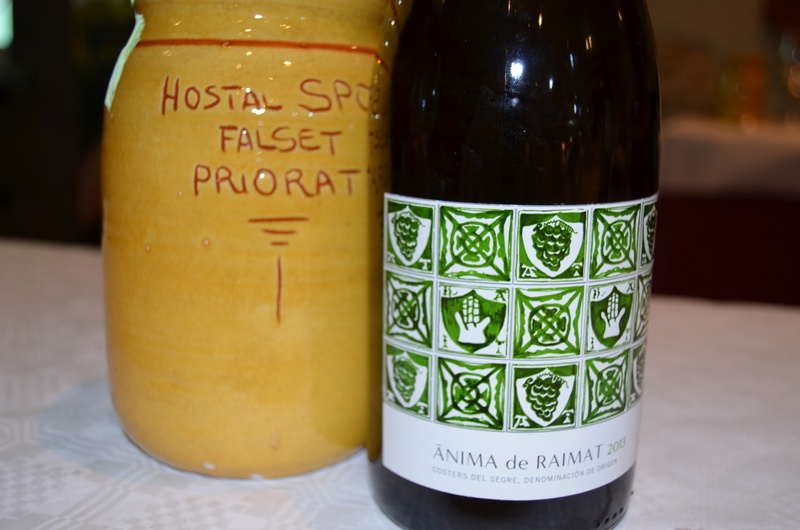 If the wineries in Priorat are small, this one is petite. A garage, no bigger than our first flat in Barcelona. And to be able to churn out 120.ooo and some bottles, takes both passion and craftsmanship. A true wine lover should peel his or hers ears to the future tunes of this young, new generation Spanish, wine maker. 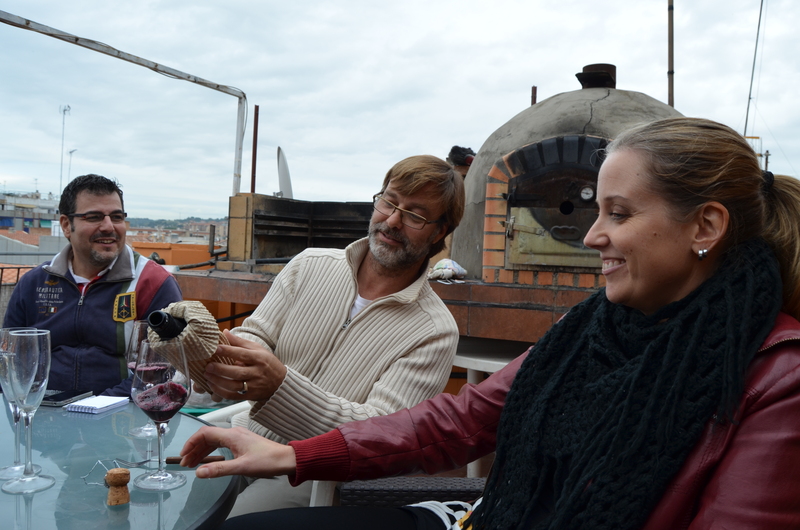 “Alta Vins” meaning “Top Wines,” refers to both the exceptional quality of his wines, as well as the altitude. With hills well over 400 meters, his vines have a long ripening cycle, and therefore, take on significant complexity. Almodi Negre is another cool wine made by Altavins, 100% Garnacha Borruda (Yes, Garnacha Peluda/Garnatxa Pilosa is the same varietal, Hairy Grenache). 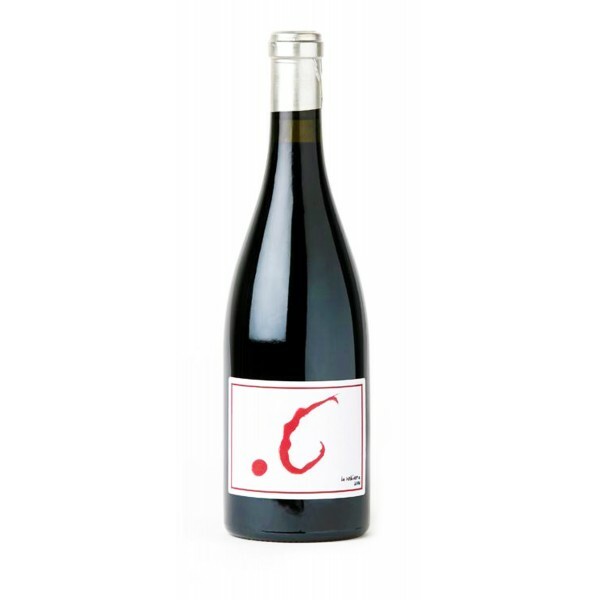 Garnacha Peluda is a varietal that grows in the regions of Aragon and Catalonia in Spain. It produces clusters of medium sized grapes which are rather compact. The grapes are oval with medium thick skin and covered with a villus from which it takes its name. 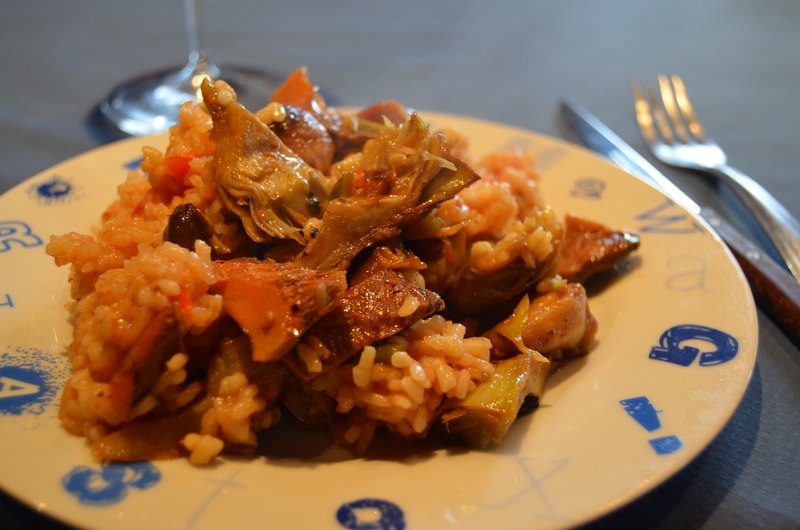 The Garnacha Peluda produces wines of both high quality but also of high alcohol level. As the fruit notes are extensive in this grape, it has been used for blends traditionally. 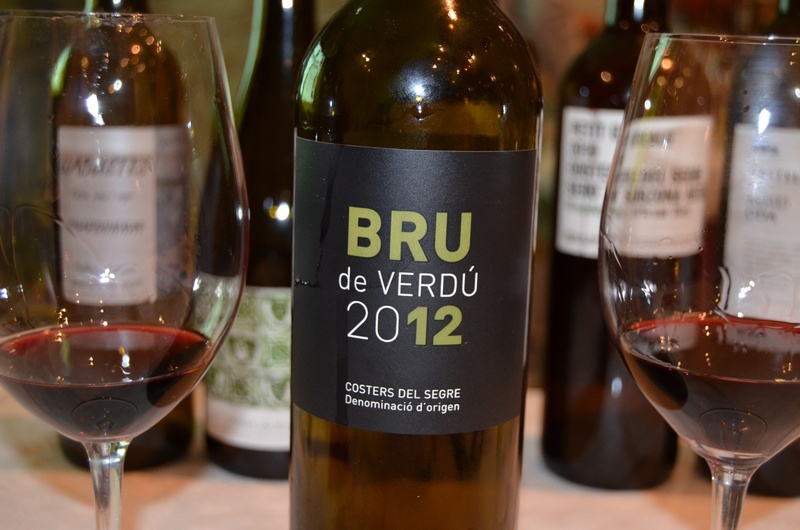 Not many producers use it for monovarietals, although this is changing in Catalonia. Altavins produce a range of wines, both red and white out of which it is difficult to find a favorite, I can drink them all and as I love wine, I’ll refrain from labeling any of them being better than the other! Pale gold color, clear and good transparency. On the nose there’s ripe white fruit, honey and pastries, some slight hint of clove. On the palate it is sweet, silky and enveloping. Fruit, peach and pear, integrated wood and perfectly balanced acidity. The harvest is gathered by hand in 18 kg boxes, then it is taken to the cellar where the selection is done on the sorting table. 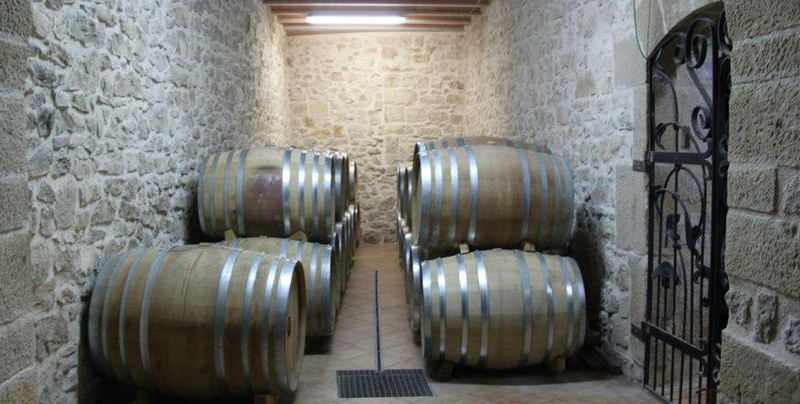 Fermentation with indigenous yeasts in French oak barrels at a controlled temperature of 16 ° C and 8 months on its lees. …., if it hits the spot, it might be hitting the G spot? That’s when all the senses come together and concentrate on what the heck is going on, and let me tell you, there’s a lot going on. Focus!!! Please, pretty please with sugar on top! 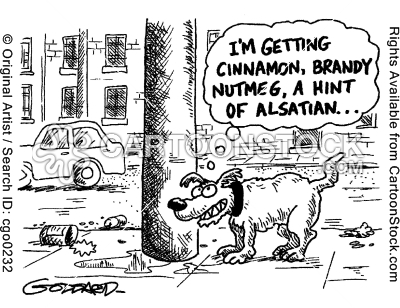 What are we actually encountering, in terms of aromas, in the wine? To keep it simple and not dwell into philosophical disputations, The .G wine is, like Kool & The Gangs song Get Down On It…., it starts slow, soft and equilibrated until it reaches the point of no return. That’s when you feel like getting up on the dance floor and shaking lose without opprobrium! And if this happens with a wine, you know it’s good! What ever the aromas are, or because of them! “The Bollidora” used to be the old alcohol factory in Villalba dels Arcs. 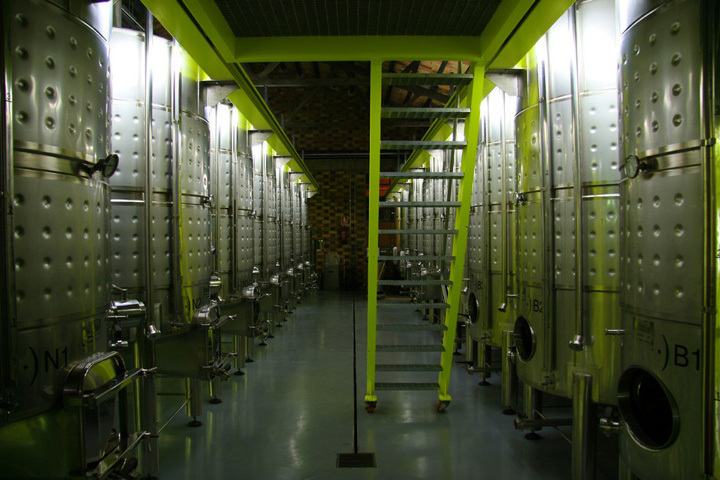 During the year 2005, Juan Carlos Sanchez Brianza recovered the facilities of the old factory building and what started as a hobby project, has since developed into one of the most renowned wineries in D.O. 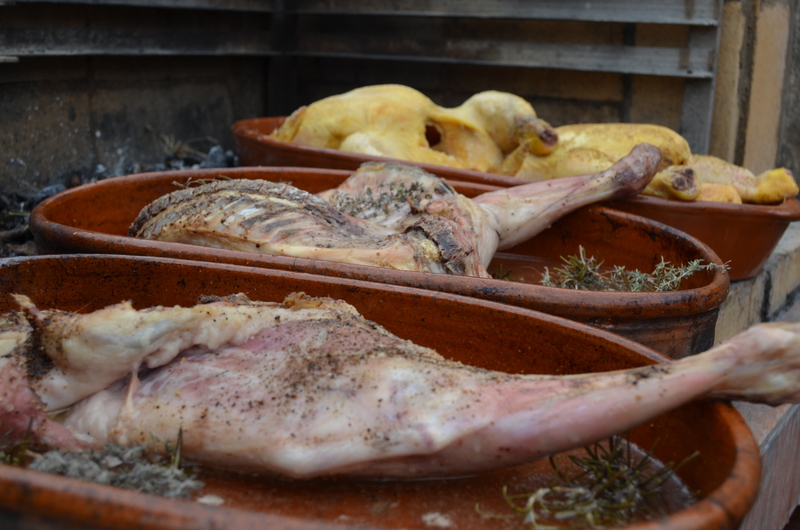 Terra Alta, with numerous awards and international recognition. 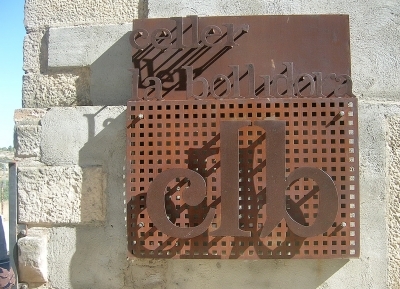 The winery is located in the village of Villalba dels Arcs. 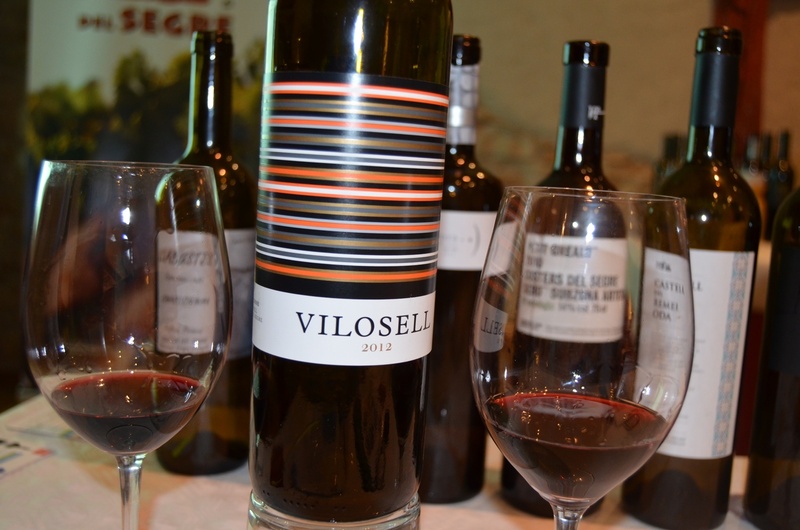 The old village distillery is now producing a range of excellent Terra Alta wines. This unique building, with a history, is now writing a story. Wouldn’t it be nice if walls indeed could talk? “From the best vineyards, the best wine,” is the motto of La Bollidora, which is why they work with old vines and traditional varieties. To preserve all the properties of the grapes in the final product the grapes are harvested by hand and manual selection is done both in vineyard and at the sorting table. The philosophy and goal of the winery is to carry out the work of viticulture respectful to the environment, and above all, to develop exclusive, high-quality wines. Discover these old abandoned vineyards and give prominence to the indigenous varieties such as “Morenillo” and Black Grenache, Samso (Carignan), and make good use of the foreign Syrah and Cabernet Sauvignon. 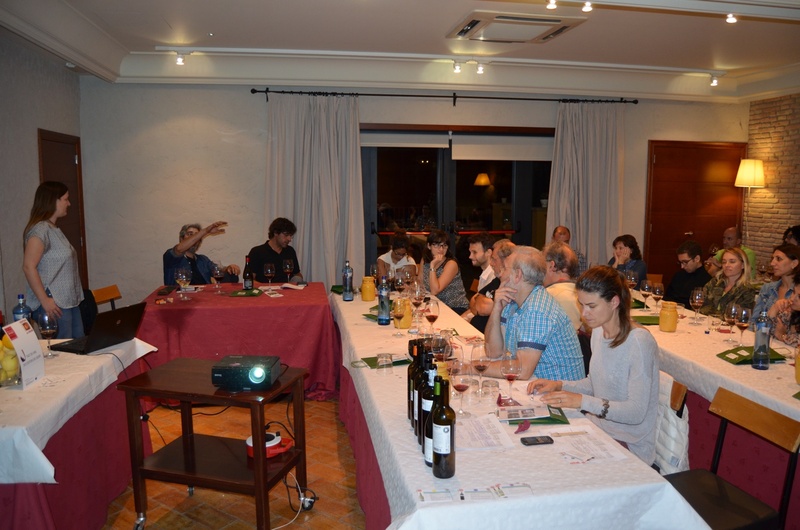 All wines are made ​​from their 5 vineyards within the municipality. The soil is very poor in organic matter, the vines grown at altitudes between 460 and 550 meters, the highest in the Terra Alta. Aged for 18 months in French oak barrels. The .G is a wine with good structure, to be stored for some time as it will develop and improve with time. An assembly combining the minerality of the Carignena with the fruitiness and spicy notes of the Garnacha and the Syrah. Cherry red color to light ruby. On the nose it gives of primaries such as ripe fruit and balsamic. Elegant touches of leather, licorice and tobacco. In the mouth it has a strong and intensive attack, warm. Long and complex structure. Subtle acidity. A keeper! Bright and clear, yellow colour with subtle aromas of tropical fruit (mango, passion fruit) and peach. Somewhat complex nose. The palate is oily with a sweet point and good acidity, there’s some minerality but mainly the tropical flavours appear, just like in the nose. Good structure, fresh and long after taste. Black sheep, Ovella Negra, of the family? I think not! It is made with Garnatxa Blanca (White Grenache) and this is one of the few vineyards that are of this variety in the Penedes region. They have only 226 vines, which are over 60 years of age (vineyard La Salada). Due to the difficulties growing this particular variety and the challenges it posed to make a good wine, the name Black Sheep, Ovella Negra, came about! Now they make 500 bottles! Four young farmers, with studies in viticulture and oenology, have joined together to create their own wines from the vineyards that they got from their grandparents. 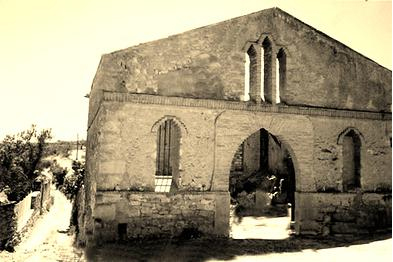 The house of Mas Candi is located in Les Gunyoles d’Avinyonet, just at the gates of the Natural Park of Garraf. Since the sixteenth century there has been evidence that the family Cuscó (Cal Candi), cultivated these lands, which today are partially under vine, used for the production of wines at Mas Candi. 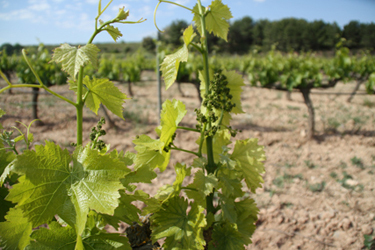 They also use grapes from vineyards in Font-Rubí, el Pla del Penedès and Torrelavit. This small winery seeks interaction with the landscape, working their native varieties and recovering their old Catalan grapes, which have almost disappeared. The range of wines produced at Mas Candi, no frills, no fancy layout, just good wine! 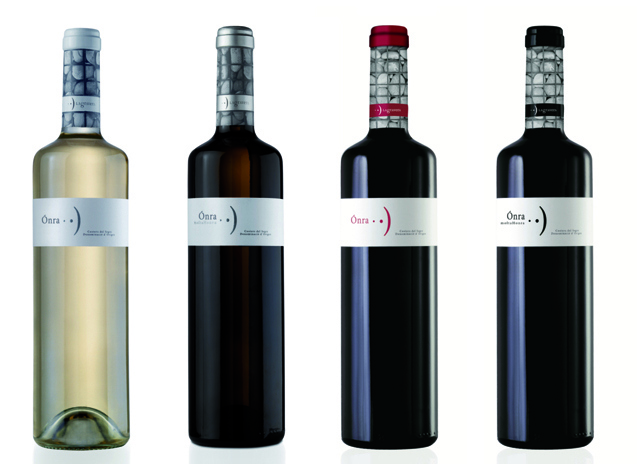 From left to right; Mas Candi QX, the four Xarel.lo:s, They have chosen the best vineyards producing xarel.lo, they are located at: Les Gunyoles (vineyard La Pura), Font-Rubí (vineyard Mas Rossell), el Pla del Penedès (vineyard l’Angeleta) i Subirats (vineyard Cal Martí). The best bunches are selected at the peak of ripeness. 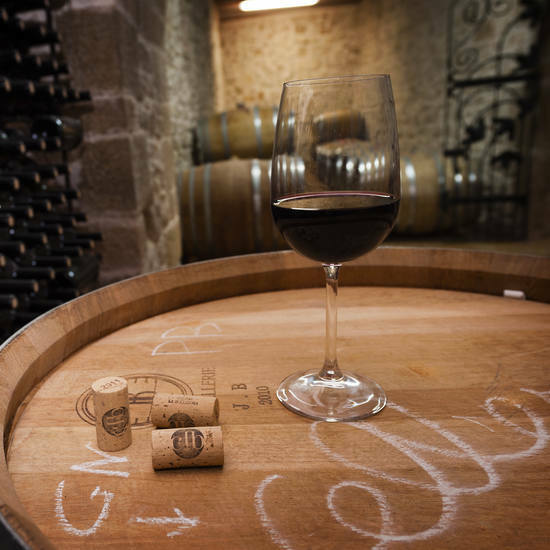 The wine is fermented in four diffrent barrels (chestnut, acacia, French oak and American oak), each gives different characteristics which provide a complexity to the wine a a whole. 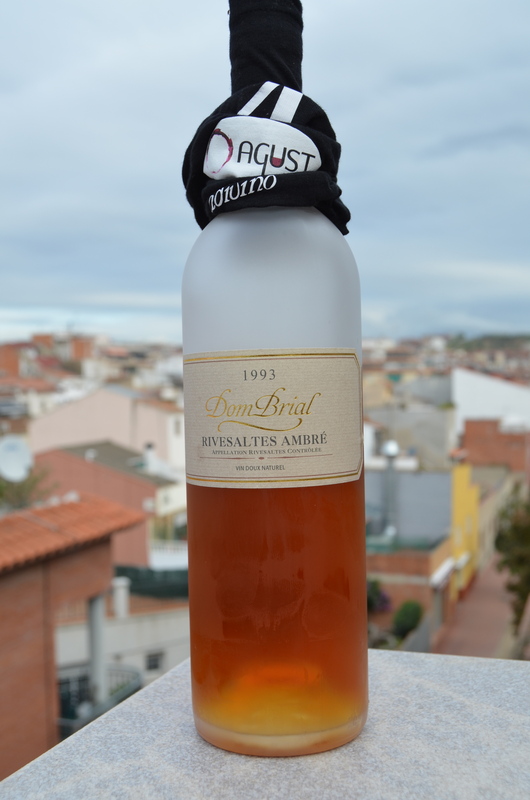 The second is Mas Candi Desig, 100% Xarel.lo, This wine is from a single vineyard, located in Les Gunyoles d’Avinyonet. The vines were planted in 1961. The cultivation is fundamentally respectful of the land and the vine. There’s no use of chemical herbicides or pesticides. So the existence of the ecosystem is essential to the complexity of the wine and the balance of the plants. This wine has sought the ultimate expression of the land, the climate, the variety without oak aging. A true “terroir” wine. The purity of Xarel.lo. Ovella Negra, third wine, covered at the top. Les Forques, the Cabernet-Sauvignon used in this wine, comes from the Mas d’en Tort vineyard, close to Torrelavit. The vines were planted in 1983, on a very poor calcareous clay and gravel terrain, south facing. In this wine they are looking to transmit the Mediterranean climate (hot dry summers) and minerality of the land; ripe and concentrated wine. Each year they add a small percentage of the experimental varieties that have been recovered (Sumoll, Mandó, Cannonnau, Roigenc i Mònica). 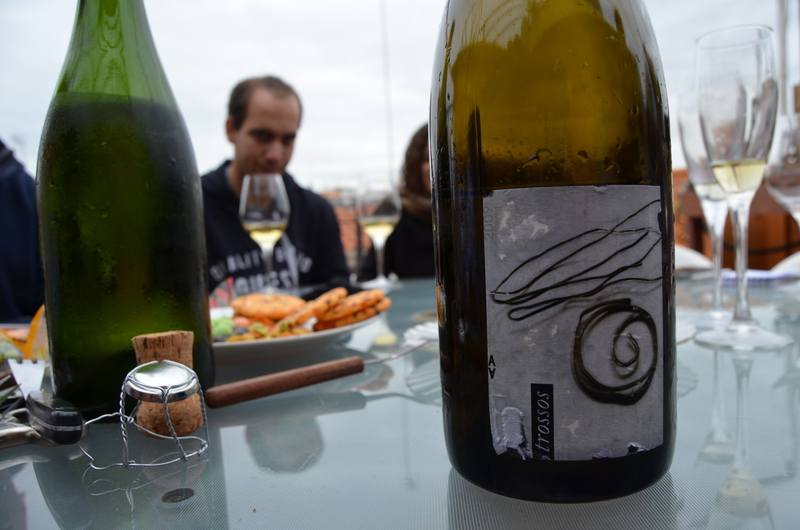 Can 28, 100% Mandó, This is the first wine made from experimental Catalan varieties that have been recovered. After the phylloxera 120 years ago; many vineyards were replanted with grape varieties more profitable at the expense of others who were of high quality but did not produce enough to be financially viable. At Mas Candi they have been, and still are, working towards the recovery of these forgotten varieties, like the white Malvasia de Sitges and Torbat and the red grape varieties like Mandó, Mònica, Sumoll, Cannonnau i Roigenc. 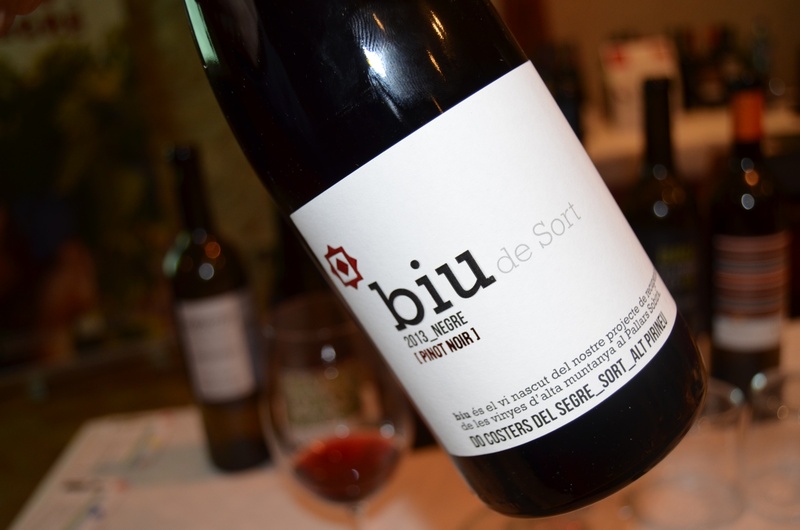 SOL + SÒL, This is a powerful wine, concentrated and mineral. Selection of the best grapes from the vineyard of Les Forques. Produced each year, but only the best vintages are released to the market. Mas Candi CAVA Brut Nature, the local varieties of the Penedès (Macabeo, Parellada and Xarel·lo), with a higher percentage of Xarel.lo.